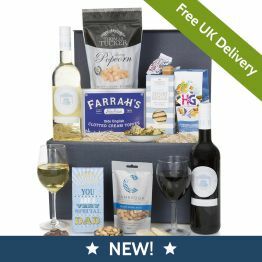 Treat dad to this blue themed luxury Father's Day Feast Hamper. 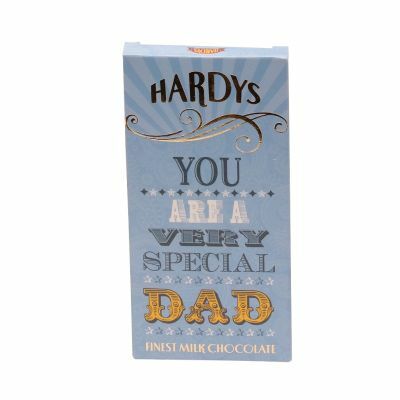 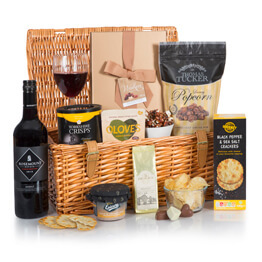 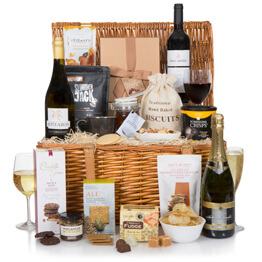 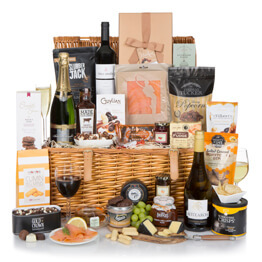 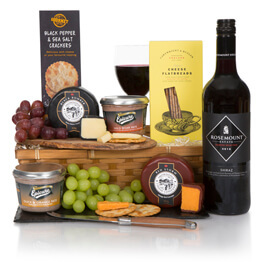 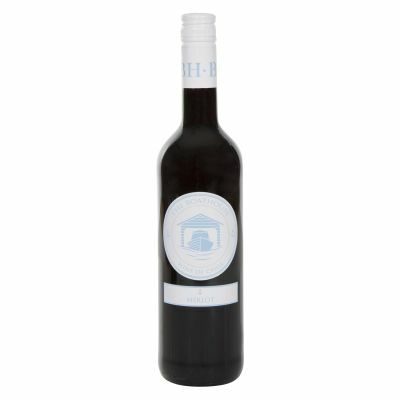 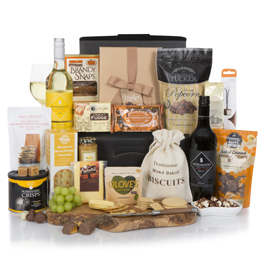 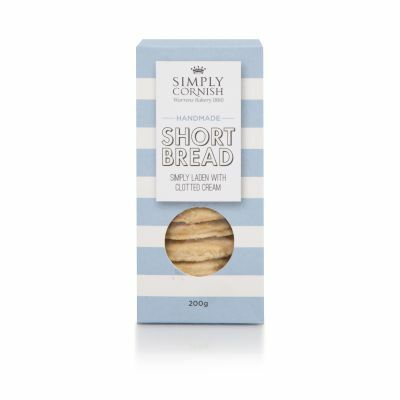 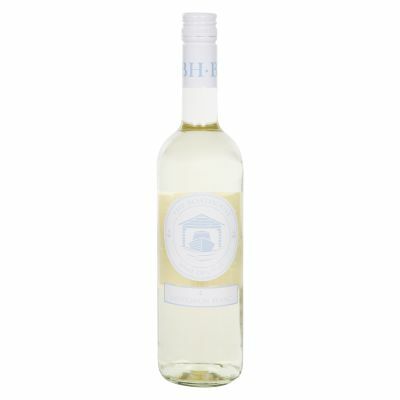 Includes a red and white wine duo from Chile, complimented by delicious sweet and savoury food treats that are sure to put a huge smile on Dad's face this Father's Day. 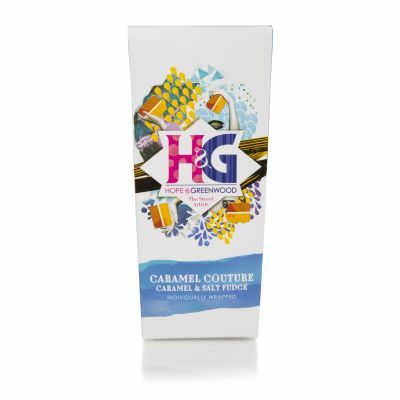 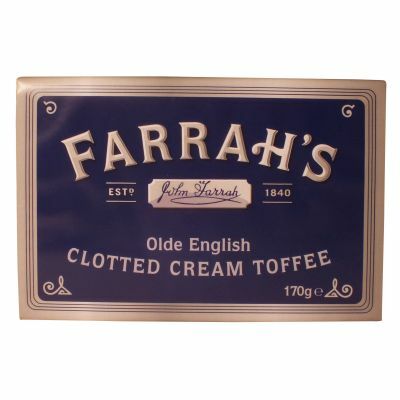 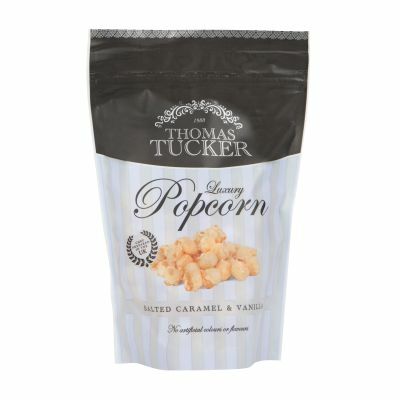 Farrahs Clotted Cream Toffee 170g A delightful creamy toffee made using clotted cream for that touch of luxury. 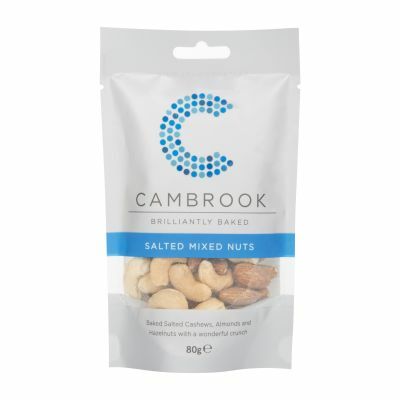 Cambrook Baked Salted Mixed Nuts 80g Baked & salted cashews, almonds and hazelnuts with a wonderful crunch.